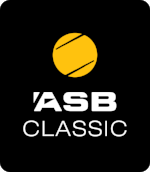 Thank you for your interest in the ASB Classic! Stay up to date with all the latest tournament news, player announcements and get access to the exclusive pre-sale ticket window. Don't miss out on a moment of the action - register your details now.